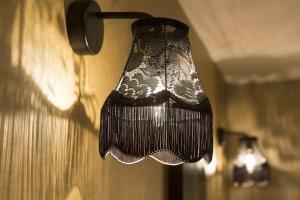 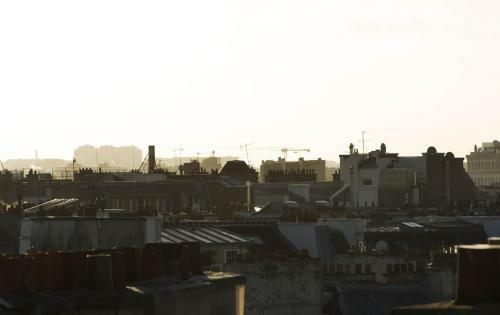 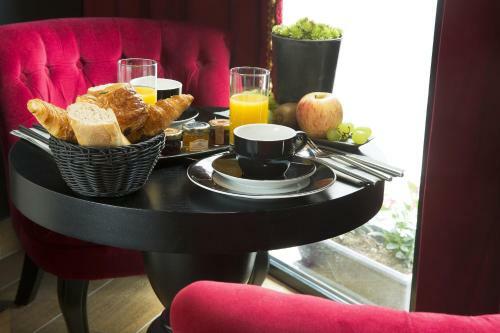 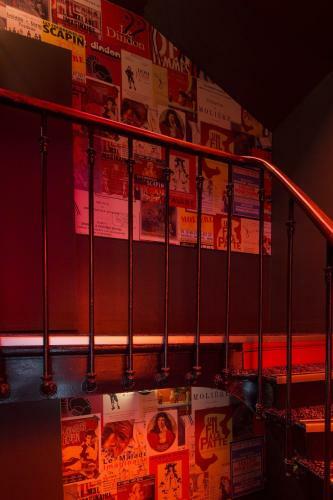 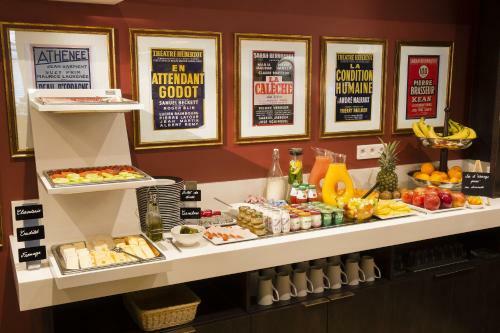 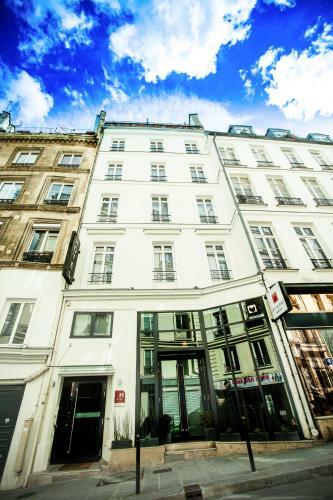 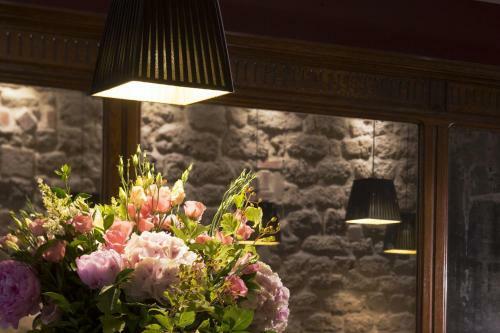 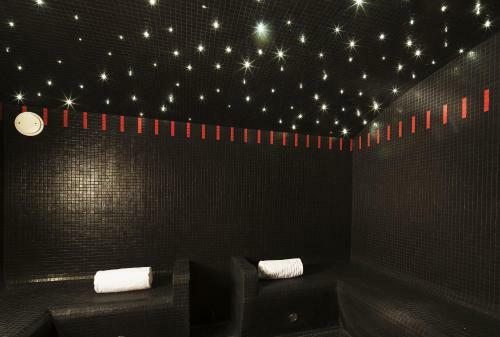 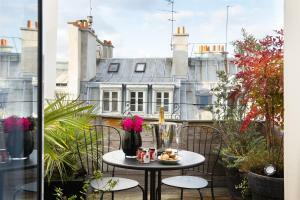 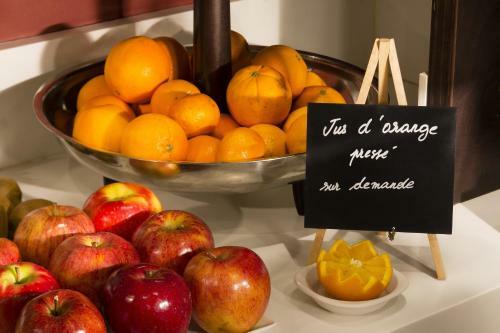 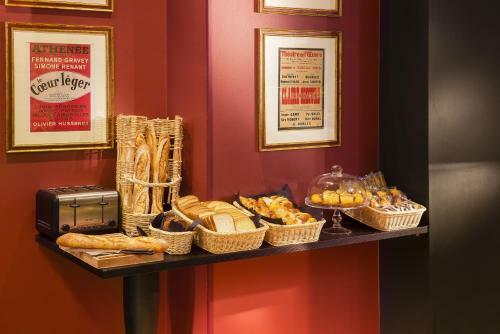 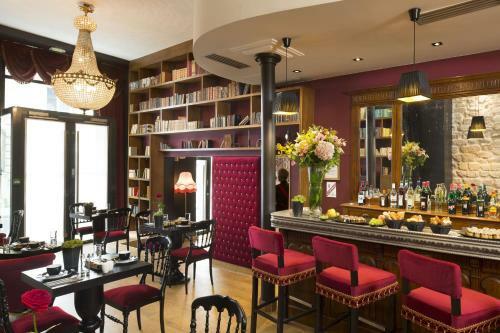 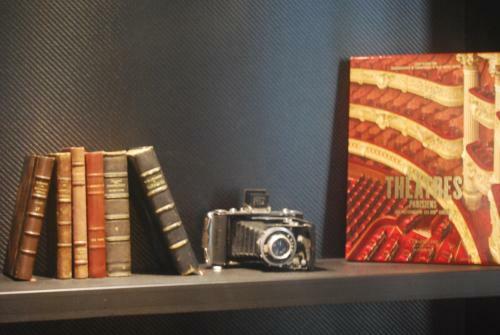 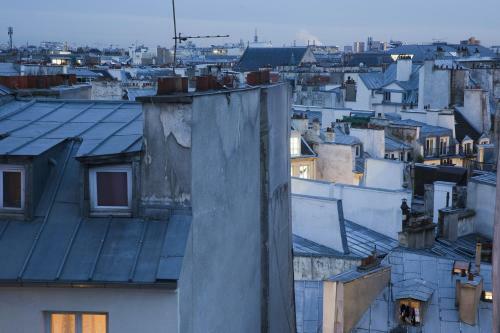 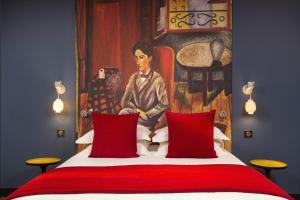 Hotel Les Théâtres is located in the 2nd district of Paris, in the heart of the Sentier area. 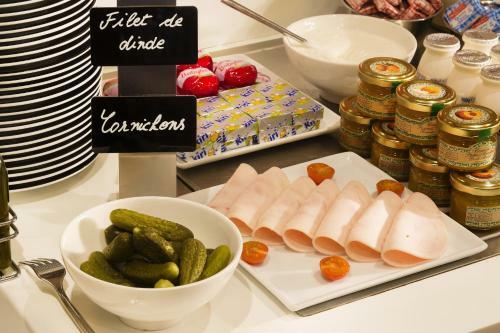 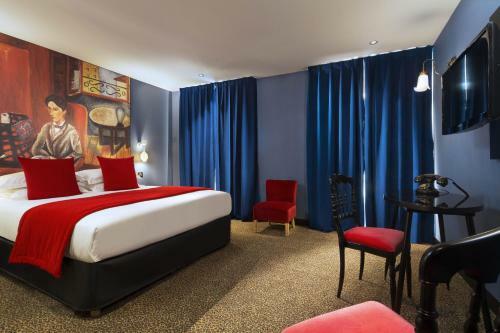 It offers contemporary rooms and free access to the hammam, while Bonne Nouvelle Metro Station (line 8 and 9) and Strasbourg Saint Denis Metro Station (line 4, 8 and 9) are only 200 metres away. 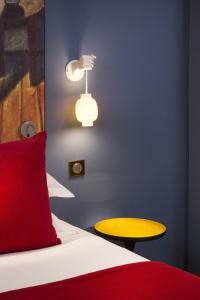 Rooms are equipped with air-conditioning, a flat-screen TV with satellite channels and a minibar. 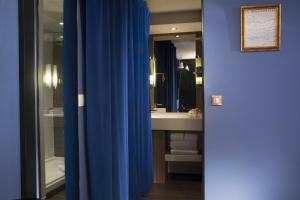 The bathrooms feature a hairdryer and a shower. 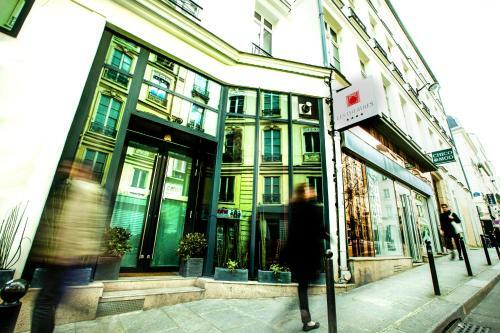 Free WiFi is available in the entire building. 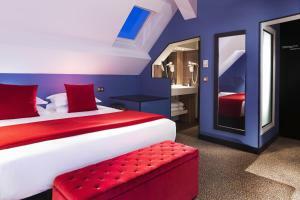 Each room also features a Samsung mobile phone with unlimited 4G internet access and free phone calls to Europe, the USA and Canada. 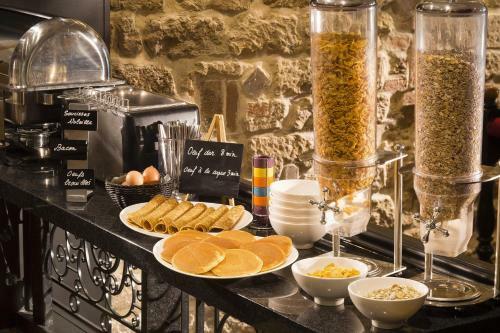 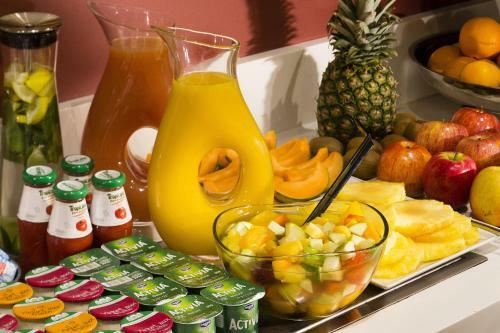 A full buffet breakfast is served every morning. 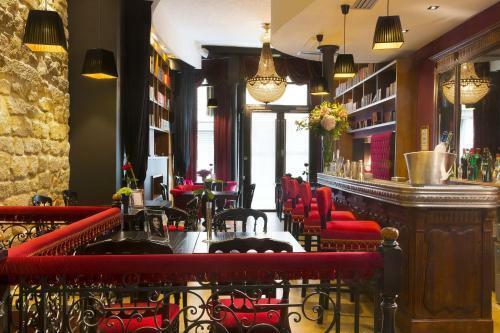 Hotel Les Théâtres also has a lounge bar where guests can relax and an honesty bar is also available. 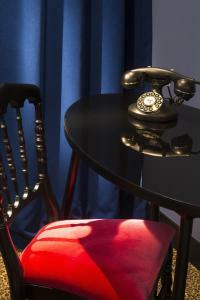 The reception desk is open 24 hours. 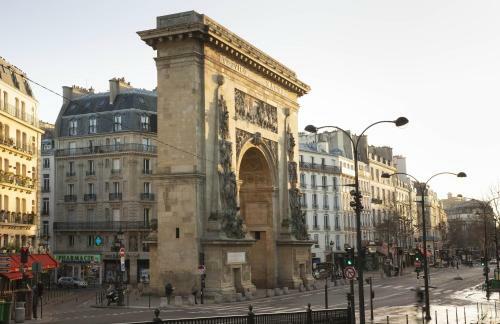 Les Théatres hotel is less than 10-minute walk from the Opera Garnier, the Louvre Museum and the famous Galeries Lafayette department store. 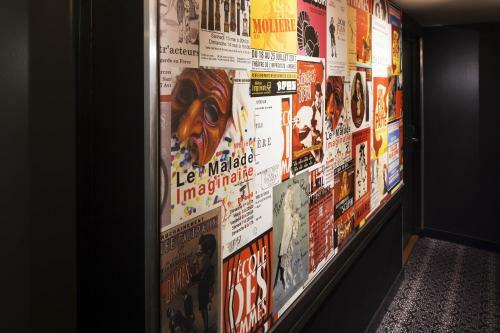 Please note that the bathrooms do not have a door. 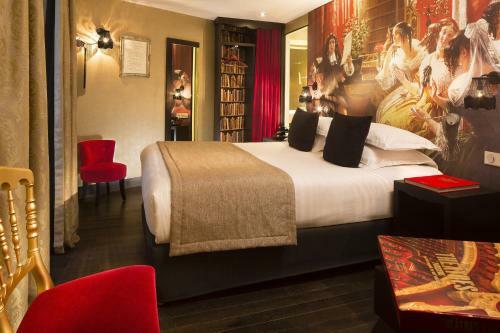 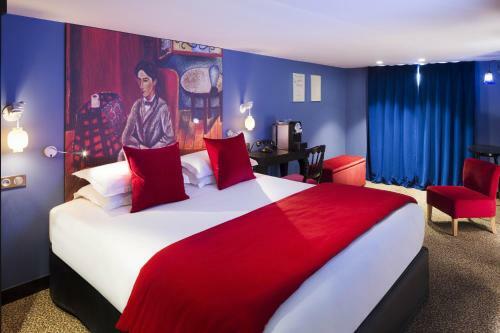 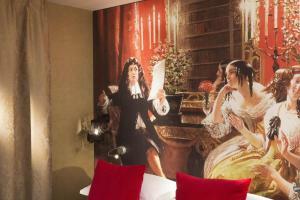 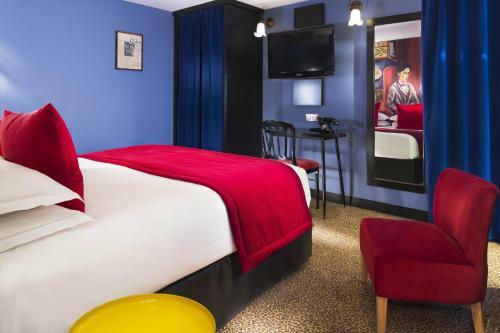 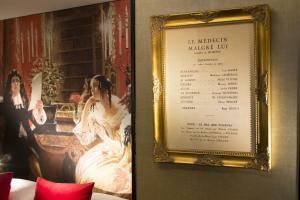 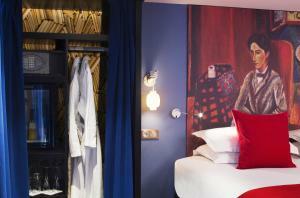 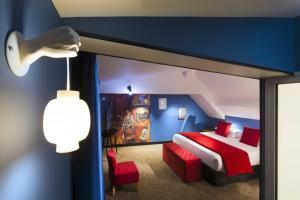 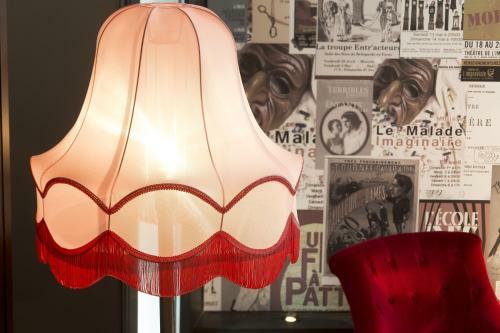 This contemporary room offers a decor celebrating comedy's icons such as Molière or Cocteau. 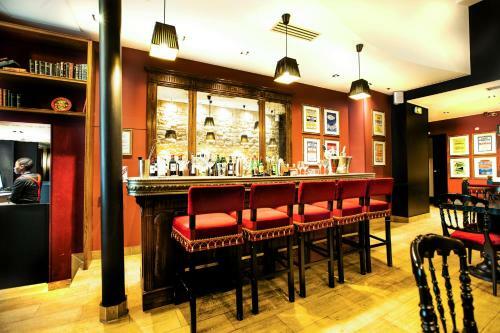 It features a flat-screen TV, a work space and free Wi-Fi. 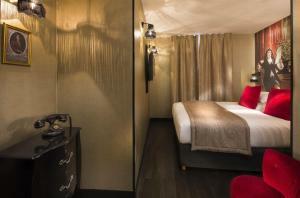 Extras include a Samsung mobile phone with unlimited 4G internet access and free phone calls to certain destinations. 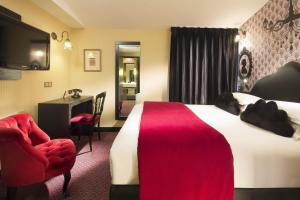 Rate: € 124.00 ... € 243.00; select dates below to get current rates. 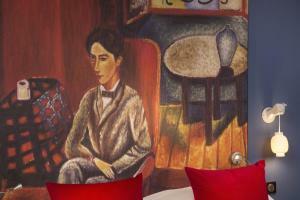 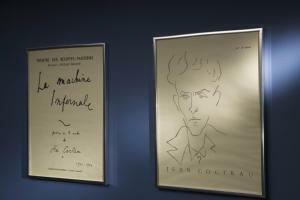 This air-conditioned suite offers a decor celebrating a French comedy's icon: Cocteau. 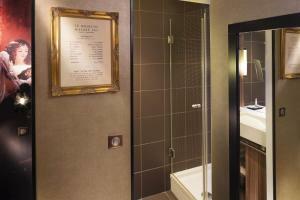 It comes with a work area, an iPod docking station and free WiFi access. 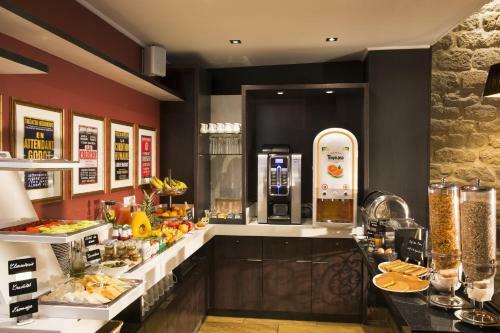 A Nespresso coffee machine is provided. 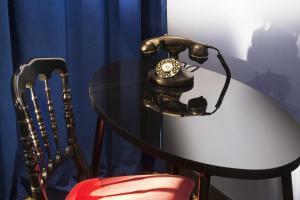 Extras include a Samsung mobile phone with unlimited 4G internet access and free phone calls to certain destinations. 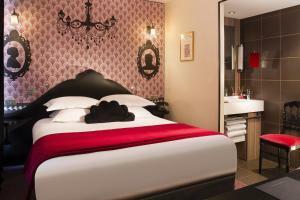 Rate: € 164.00 ... € 293.00; select dates below to get current rates. 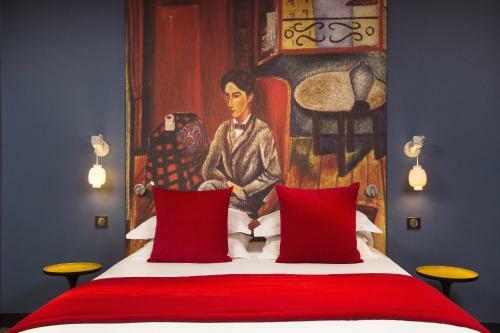 This contemporary room offers a decor celebrating a French comedy's icon: Cocteau. 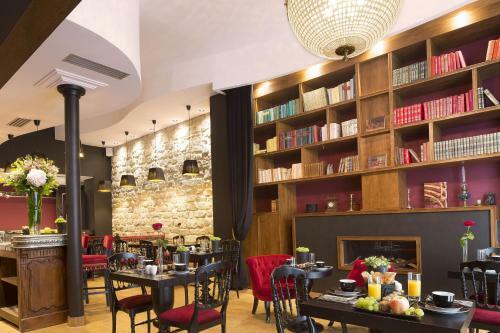 It features a flat-screen TV, a work space and free Wi-Fi. 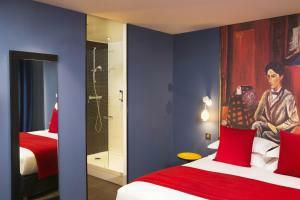 Extras include a Samsung mobile phone with unlimited 4G internet access and free phone calls to certain destinations. Rate: € 140.00 ... € 263.00; select dates below to get current rates.